The hall is quite large and split into two major areas. One for climbing, with over 100+ routes including a dedicated auto-belay section, a big warm up bouldering wall and bouldering cave for kids. There’s a lot to do here with a wide variety of climbing, including a steep overhanging lead wall. 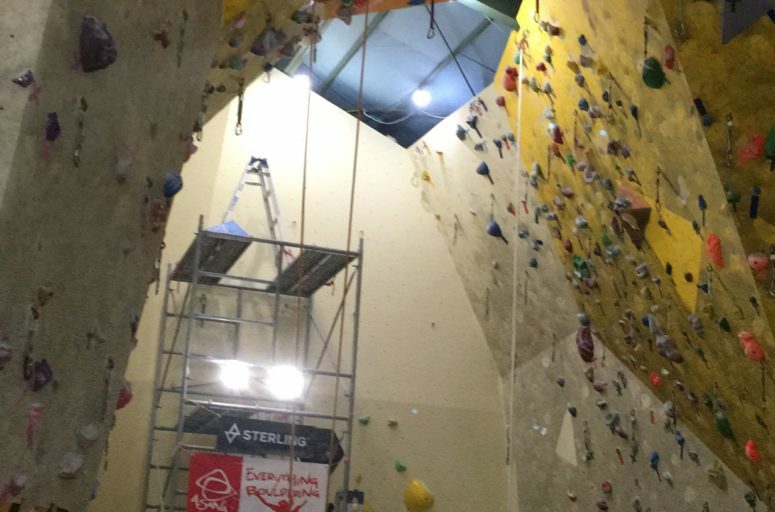 The five auto-belay stations have over 10+ routes which are varied and include a number of difficult climbs up to 7a, something you don’t often see in other halls. The real draw here, however, is the second major area, the brand new bouldering hall. 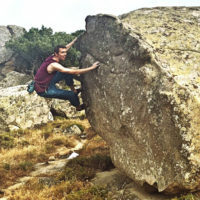 Big, bright and furnished with new holds and 3D structures, climbing here is a real treat. You’ve probably got around 50 or so problems, ranging from easy to very hard, vertical to completely overhanging. Additionally, now completed is the strength and training area, dedicated for those looking to work their core climbing strength. 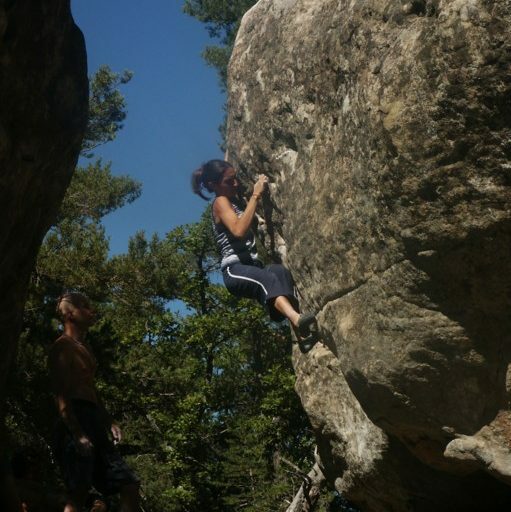 This includes two big campus boards, a variety of pull-up bars and hang boards, a steep overhanging boulder wall and a stretching area. A well-stocked above-ground café and shop means you can chill out after your session and watch other climbers from higher up. You will need to go by car though as the hall is not located near major public transport (15 min walk from Saxon station), but does include a big car park. All-in-all a great hall with a a lot to keep anyone occupied, making a visit well worth your while! Find them on online here or on their Facebook page.